We actually know a fair amount about the Echo now - it's is actually the ability to transcend the boundaries of the soul, both the user's own and others. It manifests in various ways but the most common is the ability to 'project' oneself inside another's memories, viewing them as if they themselves had lived through it, leading to some confusion about whether it was actually a form of FFVIII-style time travel, which it's now been proven it is not. 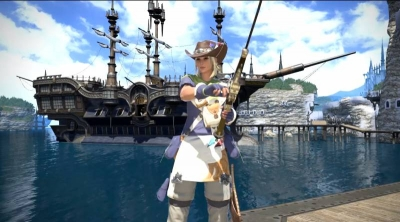 When an Echo-user is in an 'Echo-vision', their physical body is still present, but unresponsive - to others, it's as if they're currently dozing in a very vivid daydream (this is proven in the original opening movie to FFXIV 1.0, where after Derplander snaps back to reality his elezen friend quips, "Look whose returned from his reverie!" - a 'reverie' is an archaic word for a daydream. Originally, Echo users were very rare, but just prior to the Calamity there was a sudden surge in people becoming 'awoken' to the Echo, leading some to speculate as to who or what was "awakening men anew". 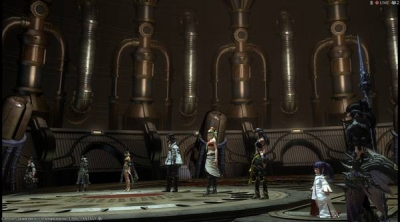 At this time, exactly who or what was responsible for granting the Echo was unknown, as Hydaelyn Herself, as in the Mothercrystal, had not actually been revealed at that stage, thus naturally scholars researching the subject such as the Path of the Twelve, the Echo research guild Minfilia established under Louisoix's direction came to the obvious conclusion that it was the Twelve responsible (hence the name the 'Path of the Twelve'). 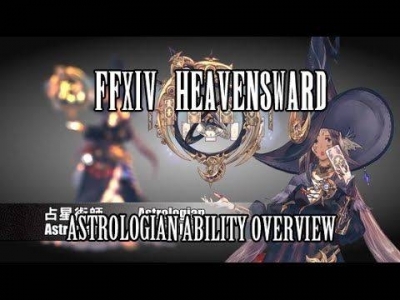 Of course post-Calamity Hydaelyn revealed Herself and is now directly speaking with Echo users, thus the mystery of the source of the Echo is one thing about it that has been solved, leaving still more questions then answers. 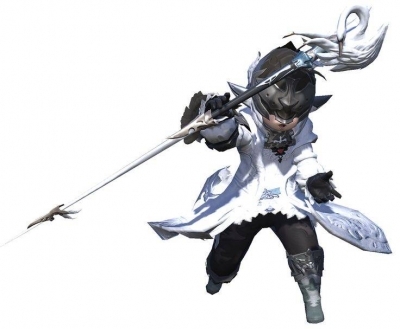 Besides the ability to view another's memories, other abilities of the Echo were also known, such as xenoglossia - the ability to instantly understand and communicate in another language without actually having learned to read or write it naturally (this was quite rare - a lot of Echo users lack this ability, including Minfilia), and, most interestingly, the Echo was revealed to actually protect a person from a Primal's corrupting influence (that is, they are completely immune to their brainwashing effect). This is effectively the reason the player is considered to be so powerful - because they are completely protected from tempering they can take down a Primal with sheer grit and determination, where as those not blessed with the Echo are understandably more hesitant about engaging a Primal head on. 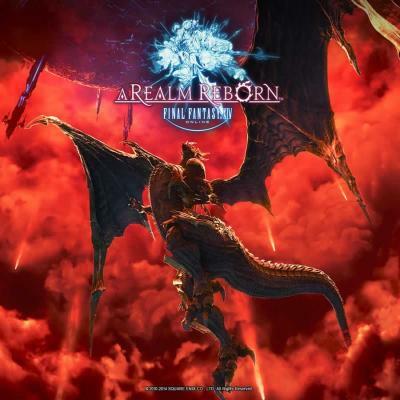 And speaking of Primals, this is probably now retconned as it's never been stated since, but in 1.0 Ifrit hinted at the possibility of an Echo user being able to summon their own Primal, although he never elaborated on exactly what he meant by that, and in any event the player's Path Companion dismissed the idea as a "taboo best left unchallenged," so it's probably not something we will see happening. As the storyline progressed, it's clear the Echo is considerably more complex than just a mere psychic grab bag, and mastery allows a person to effectively transcend not only the boundaries of the soul of another person, it allows themself to transcend their own mortal limits, effectively becoming a being of pure aether which no longer requires a physical form to survive - this was demonstrated by the sahagin elder, although the jury is still out on whether or not he really did have the Echo, instead being turned into nothing but a tasty aetheric snack for Leviathan (after all, just before he was absorbed by Leviathan he realized that the Ascians had lied to him about the Echo, which really throws doubt on the whole idea of whether Ascians actually use the Echo or not - yes Lahabrea mentions the 'true power of the Echo when he goes all Meltigemini on the player at the end of Heavensward, but considering for the entire game he basically feeds the player constant lies, half-truths and deceptions, and that he himself actually mocked the Echo the first time you meet him as "an irksome anomaly in the aether" that was counterproductive to his plans, I simply do not trust a word he says now. Hell, I don't trust any of the Ascians as far as I can throw a brick. So yeah, we're back, to use a pun, at square one. Having said that, way back in 1.0 when the player first met Minfilia and joined the Path of the Twelve (the predecessor organization to the current Scions of the Seventh Dawn), Minfilia admitted that there were many Echo users set out to discover the deeper mysteries of the Echo and not only did many never return, those who did refused to speak of what they discovered - unsettling Minfilia that the truth was "too shameful to be told." 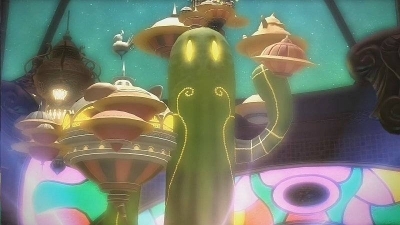 Just what that 'awful truth' of the Echo is, is anyone's guess, but it does give weight to the Ascian connection to it.